It’s our mission to make your new home construction or renovation project as stress-free as possible by looking out for your best interests at all times. WE SERVE OUR CLIENTS BY ACTING AS AN OWNERS REPRESENTATIVE THROUGHOUT THE PLANNING, DESIGN, AND CONSTRUCTION PHASES OF A NEW HOME CONSTRUCTION OR RENOVATION PROJECT. Our involvement creates efficiencies and ensures that quality, cost and schedule objectives are met. With 20+ years of experience as a homebuilder in Atlanta, we have the unique ability of anticipating and mitigating issues before they become larger problems. Since our fees are not tied to construction contracts, we are able to make decisions and recommendations strictly with the owners interests in mind. As a small, service-oriented firm, we pay great attention to detail, overseeing all aspects of your project to ensure confidence and peace of mind. In 2018 alone, we helped our clients achieve savings and peace of mind on projects totaling over $28 million. Managing all aspects of the project to ensure the owner’s best interests are included in each and every decision. Ensures that work is completed in a timely and professional manner meeting expectations of quality and integrity. Looking out for the homeowner’s best interest exclusively, saving the owner time, money and stress. Continuously monitoring your construction project, we anticipate and properly respond to any conflicts or disputes, taking a proactive approach to solving issues as they arise. Helps to maximize your investment with the scope, architect and builder. Reviews change orders and invoices to ensure accuracy. Assists homeowner with contract negotiations and low bank appraisals. Neal grew up in Greenville, NC and moved to Atlanta after graduating from NC State. Neal started his career at Bank South while getting his MBA at Georgia State University. He joined McGuire Properties in 1998 where he built over 60 homes and developed two subdivisions. Neal’s passion for creating homes for families lead him to start Creech Custom Builders in 2001, building custom and spec homes as well as renovations throughout the Buckhead, Brookhaven and Morningside areas of Atlanta. 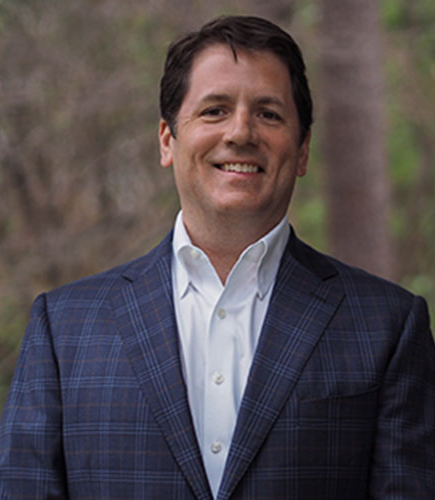 Neal served as the Inner Atlanta President of the Atlanta Home Builders Association in 2006 and was awarded a Gold OBIE in 2003 for his outstanding achievements in the home building industry. In 2015, he launched Neal Creech Custom Home Advisors to share his experience and expertise as a builder, guiding clients through the ups and downs of new home construction and renovation projects. Neal served as President of the Wildwood Neighborhood Association from 2014-18 and is currently the City Director of Christian Leadership Concepts, a non-profit ministry that equips men to be leaders based on a growing, vibrant relationship with Jesus Christ. Neal is married to Bonni, his wife of 16 years, together they have two children. Neal is a great source of knowledge that comes from his many years of home building experience. He is extremely helpful in the early stages of the project in making sure you get a proper agreement in place. Later, Neal is a great resource for all the “grey areas” that come up during the building process. I recommend his services wholeheartedly! Neal Creech was instrumental in our building and renovation process. Neal helped us correct issues with our renovation that our builder missed. Overall he has saved us thousands of dollars in accidental double billing and repairs. We will definitely use him again in the future and highly recommend Neal to anyone starting a new construction or renovation project. His background and expertise is invaluable! Neal literally saved our project. Not only is he worth every dime we invested in him, we wished we had hired him much earlier. Without him, our builder never would have completed our job. Neal was available to help us through every step of our project – from concept development, contractor selection, contract negotiations, construction and punch list. His guidance and insights were invaluable. He was able to generate value for us that far exceeded his costs, both monetarily and via a piece of mind that the project would be completed correctly. Neal was always willing to jump in when an issue arose and ensure it was addressed appropriately.